Heaven, in its providence, seems to be multiplying the last calls and signs before the world is plunged, this time in a deluge of fire (2 Peter 3:7), a chastisement such as the world will have yet never seen, nor will ever see, in proportion to the increasing wickedness of men, worse now than in the time of Noah when the great deluge of water came to cover all the earth. So again the whole earth will be affected to be purified, before the Advent of the "Bud of Justice" (Jr. 33:15-16), the "Lion of the Tribe of Juda", and the establishment of his Kingdom, hence the entrance of the Church of Philadelphia (Apoc. 3:7-13), where the Will of God will at last be done on earth as it is in Heaven, and where even nature will be, henceforth, in harmony with man and itself, being freed from any disorder, consequence of the fall of man. So it will not be the end of the world, but the end of the reign of Satan. In the time of Noah, God prepared the Ark to save a small remnant; this time, to again get a remnant through the events that are to take place in these Latter Days, as the Blessed Virgin, the Queen of Prophets, came to tell her confidant, priest-founder of the MMP1, in Lourdes, in September, 1988. 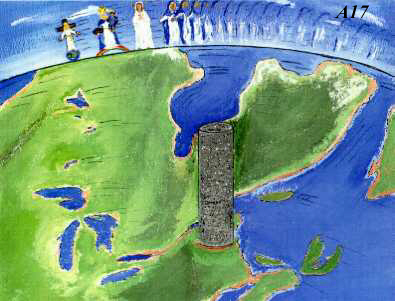 Heaven has sent this Mystical City of Refuge, in 1984, in her weeping statue under the features of Our Lady of Fatima, to lay the foundations and confines of The Asylum City (A1), the city of refuge in our area of the continent, model of these "nests of protection" that She will establish throughout the world. On the right: On November 17, 1989, warning ... planetoid heading for the American eastern seaboard - see red band on horizon - impact! 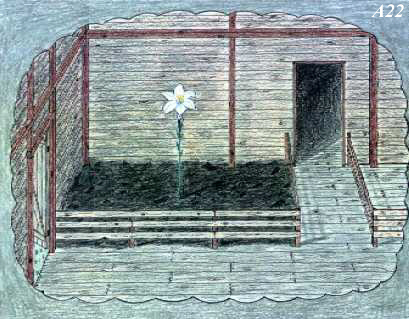 What remained to be done was to link the confines - as once Noah had to do to build his Ark according to the dimensions given by God - to form a perfect circle of protection, a circle of fire against the deluge of fire, which is what St. Theresa of Lisieux did during a dream, in the night of September 14 to the 15, 1989, when she came to trace on a map of our area a circle of fire (A1) which, soon afterwards, reflected itself in our skies as a blood-red circle (A2), in the evening of November 17, 1989, a phenomenon of lights, signs and figures - seen in many countries, as told by the Blessed Virgin, in Olawa, Poland2 - and then in a white vaporous circle (A3), in the morning of August 19, 1991, representing the cordon of thousands of protecting angels taking their post under the lead of the Archangel Uriel (A2), as seen in the evening of November 17, 1989, near the blood-red circle, one of the Seven Great Spirits that stand before the throne of God. Jesus said in a message: "When the Red Armies arrive, only at the cost of their lives will they cross the crown of fire that will form the various places of the earth where My Mother appeared." 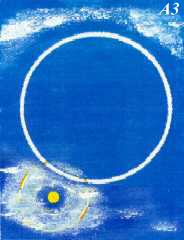 (Les anges, nos puissants médiateurs, p. 36, Heinrich Kreuzer, Oeuvres Mariales, Ch-4632, Switzerland). At the right of the red circle, out of which poured out myriads of angels, is the presence of the Holy Ghost in the form of a dove (A2). A moving and ineffable spectacle which will be witnessed only by a very few! These stupendous signs given by Heaven are warnings, and other phenomenons and miracles will no doubt follow, for Heaven knows that it takes much to break the incredulity of people. It is a case here of warning, not so much by words as it has been done for over a hundred years, since the announcement of the "bad times" at La rue du Bac, La Salette, Lourdes, Fatima, etc., up to our present times in many places, for the people have not taken notice and have thus lost the ability to listen, but by occurrences which will impress the senses. Did it not require plagues and miracles to make the Israelites come out of the land of Egypt? In the face of the events of terror which are coming, Heaven wants to warn its people at all costs. But it will be, alas, the small number only, in regards to the masses, who will keep their hearts open and will listen; who will hear the sound of the trumpet (A7). "Many among you will wait until it is too late, and then, as in the time of Noah, what will you say when the Ark is closed and the deluge comes? So it will be in the End Times ... the Ark3 will close on those who will be saved, and the others will be destroyed by the Ball of Redemption (A4)," as Jesus said at Bayside, on June 18, 1987. 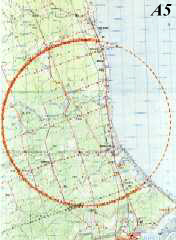 All will be charred outside the circle of protection (A5, A6, A12), as it was shown to me in a dream, in September, 1989 (A5, A6), and in August, 1992 (A12). To repeat the why of places of refuge: we can read the signs of the seasons, but we refuse to see the signs of the "bad season", the "bad times" at our doors! And these signs are increasing according to the rate of intensity of the apocalyptic battle between the Woman and the Dragon, and at the approach of the climax of this conflict, the celestial forces are getting in place, as seen by the spectacular signs in our skies above The Asylum City, in Canada. The pictures A1 to A12 lay out in full color these signs, seen either in dreams, or visibly in the hope that the image will strike more than the word. But will the people see, will they listen? The darkness of the mind is getting denser. So much so that the Eternal Father came to complain bitterly at great length, in the night of February 23 to 24, 1989 (A10), on what his own children were doing, often the very ones that Heaven had prepared and who now sowed confusion. Hence now Heaven is evermore turning to others who in their misery are perhaps less subject to themselves or to pressures, while the world is teetering on the brink of the abyss. 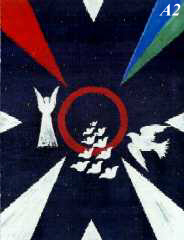 And as to echo the lines of the prophet Jeremiah (A7), the Seven Great Spirits, who stand before the throne of God, came to comment these lines in unison (A8), during a dream which occurred on August 17, 1991, thus two days before the myriads of protecting angels came to form a white cordon above The Asylum City (A3). I saw in full letters, on a golden background, what the Archangels said in one voice. Meaning? The times are short, no more to vain discussions! The events, incidentally, will see to it to warn the people. But only those with an open heart will respond, those who will not have the tendency to reject everything as simple cosmic phenomenons or who will not stifle the call in their hearts, the sound of the trumpet, which will resound in their hearts. As it has been said, signs are given, but it is necessary to pray Heaven so they may be recognized as such, and that we have the strength to respond, and not to regret or look back as certain Israelites did, regretting having come out of Egypt. It will be imperative to set out and reach the fortified cities, as did those - a small number - who entered the Ark in the time of Noah. The events now at hand will signal when to get going. 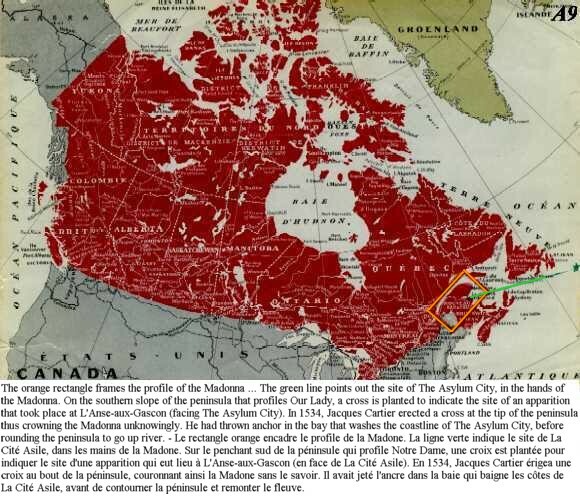 The site of The Asylum City is well indicated on map for the 144,000! (A1, A9). The other havens are now being made known throughout the world, and the full vocation of The Asylum City is yet to be revealed. 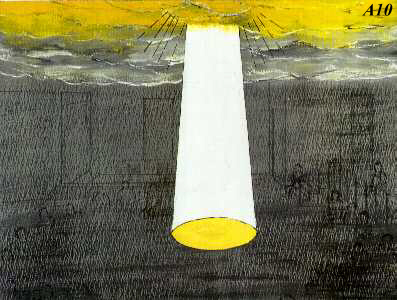 1st - in a first instance, in the night of February 23 to 24, 1989, when the Eternal Father, whose voice came down through a thick layer of clouds in a brilliant cone of light (A10) at the place where I was brought in bilocation, decreed at the end of his long soliloquy, in which He expressed his profound desolation, the foundation, for the New Era, of the Community of St. Joseph of The Asylum City, whose boundary marks were laid in 1984, during the visit of the Weeping Madonna of Canada (A1); (Cf. Le Royaume, May 1984, C.P. 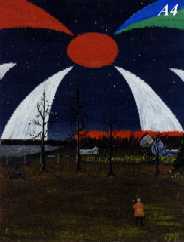 126, Lac-Etchemin, QC, G0R 1S0, Canada; Stella Maris, Sept. 1985, Ed. du Parvis, CH-1631 Hauteville, Switzerland). 2nd - then, in the morning of August 19, 1991, in a white vaporous cordon formed by the myriads of protecting angels taking their position (A3). 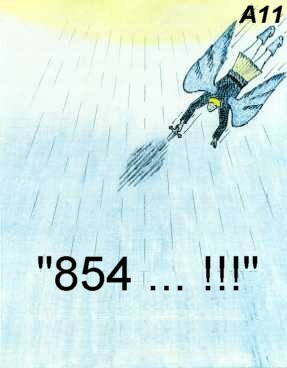 (A11) 854 ...! Warning given in a dream on April 30, 1992, a warning whose full understanding is yet to come, but linked to the desolation expressed in (A10). It is unthinkable that such phenomena can be imagined. Is it hallucination? No more than the phenomenon of the sun at Fatima, but of a reality as concrete! Are we not living in special times? We are on our way towards the Kingdom of the Seventh Day, the Kingdom of the Lion of Juda (Gn. 49:9-10), with new heavens not darkened by the smoke of the demons sent back into the Abyss - a period of peace of 1000 years where sin , though possible, will be rare (Is. 65:19-20), this until the release of Lucifer for a short time before being thrown with his minions into the Lake of Fire for eternity. New heavens and a new earth! But before what a cleansing! It will be sudden apparently, at a time when the world will cry peace, and so will not expect it. Read well, therefore, the lines of the prophet Jeremiah (A7), and know what woe it is that God is bringing from the North! this people that God will use as an iron rod to punish the guilty Nations. The great strike is afoot, and only prayer can lessen the chastisement, if it can no longer ward it off. 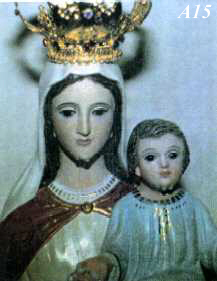 The Blessed Virgin, as She has told many instruments, is now letting the arm of Her Son fall. It is the hour! Heaven has spoken; statues, icons, images, and photos have even wept throughout the world, but the world has remained deaf and blind. There will be, though, protection under the mantle of Our Lady in many places (A12) during the deluge of fire, places which no doubt will be indicated by Heaven in its providence, for the different countries or continents. When will it be necessary to take cover, to even flee? Each one will know it in his heart, in prayer and in the face of the events. Noah entered the Ark only at the given signal, which was given! Moreover, Heaven will multiply its protection in various ways, it does seem, in order to protect those who without negligence on their part would not find refuge. Divine Providence can provide if we ask sincerely. But one must hasten to at least make the plea and read the many messages that Heaven is now giving throughout the world - to be wary, however, of the false prophets whose messages do not agree with the Biblical texts or with the recognized apparitions. And this Advent of "the Bud of the Lord" (Is. 4:2) must not be linked to the end of the world.4 It will mark the end of "the bad times" announced at La Rue du Bac, and the establishment of the Kingdom which we have been asking for now close to 2000 years in saying in the Our Father, "thy kingdom come, thy will be done on earth as it is in Heaven," will that shall only be done once the earth is purified, with a few remaining to populate the Garden of Eden destined to humanity - of which it was deprived at the fall of our first parents - for an era during which Satan will be bound. As for the Last Judgement, it is reserved for the very end, whence its name, at the end of the centuries. Let us read well the Apocalypse of St. John . And let us be wary of the coming of the false Messiah, the Antichrist, impostor, already at work and who will manifest himself as the savior of the world and whose doctrine is now put forward with the "New Age." 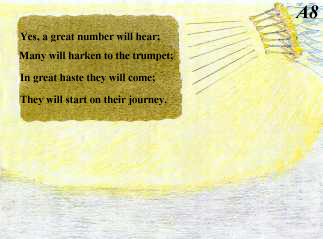 We are warned: he will speak suavely and will accomplish great wonders. 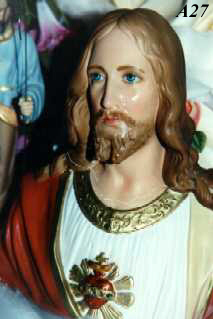 He will call himself Christ. 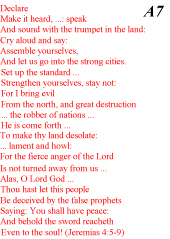 Read well the message given at La Salette, the great blueprint of the times of the End Times. May we be reminded then that will be protected only those who will have remained faithful to the teaching of Jesus, Son of Mary, Who died, was resurrected and Who will establish his millenial Kingdom, after the cleansing of the earth by the deluge of fire, and a seal set upon Satan in the Abyss for 1000 years. And so will be protected, in the end, only those of good will, for even those who are already in the areas of refuge, but who in their hearts reject the calls from Heaven, will not find grace during the Chastisement. It is also a must to recall that many among the good will die for the salvation of many souls who will thus obtain the ultimate grace to repent, even if only at the last instant. Many perished during the deluge, but many souls were surely saved by repenting in the face of the great calamity. The good who will die during the calamities will receive the palm of martyrdom. It will then be a signal favor to be able to repent at the last instant, for the world as a whole seems to remain deaf despite the daily warnings, the disasters, the plagues, the strange epidemics, the contentions at all levels of society, all making the headlines of the medias at an accelerated pace. There is, then, a terrible risk to run for those who remain hardened. Will they receive the ultimate grace - that the pagans may merit rather, in the face of the great and terrifying events - unable to repent anymore for they will bear the mark of the Beast, a kind of code imposed on people in order to buy or sell - all money having disappeared - under the control of the computer that is already recording what you buy at the store? Everything is in place and ready to be imposed, but we must avoid being marked by that sign or code on the forehead and on the hand. (Apoc. 13:16-17). The servants of God will have been marked by the sign of the cross on the forehead (Apoc. 7:3-5), mark that will be visible to them, to enable recognition of each other. Providence will provide for their subsistence, but it is already asked in many messages to procure certain non-perishable food, without hoarding however - Heaven looking at the effort. When to prepare? 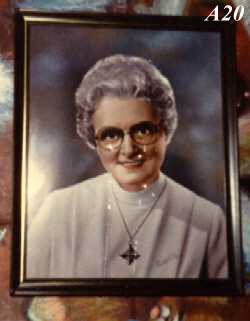 Let us refer again to what the Blessed Virgin said to her confidant, founder of the MMP, in Lourdes, in September, 1988, that there remained a period of ten years only, during which will draw to a close the Great Tribulation predicted in Holy Scripture, and which must intervene before the Advent of the Lion of the tribe of Juda (Gn. 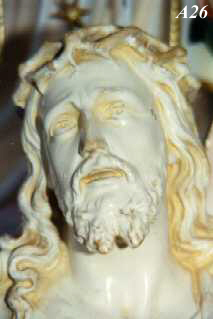 49:9). We are now fixed ... barring reprieves! A. Yes, statues have wept (A1, A13, A14, A15, A16 etc. - to see further), and many will weep again before the end of the warnings. Let us not be surprised, and soon many weepings will be weepings of blood, as it has already happened in many places. 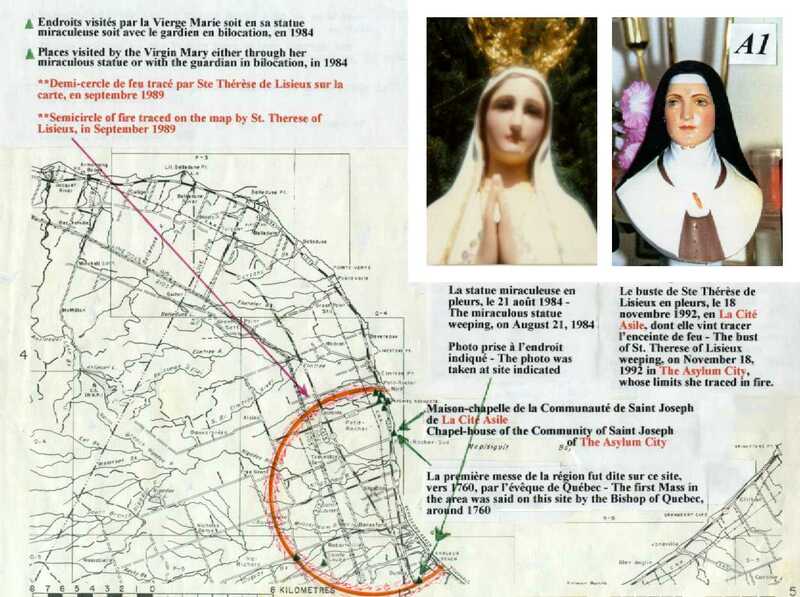 Explanation: (A13) This is the sculptured statue of Our Lady of All Peoples5 who wept in Canada on different occasions, in 1983 and 1984, as also in 1985 (A14), painted this time according to the large painting in Amsterdam, Holland, where the apparitions took place from 1945 to 1959. 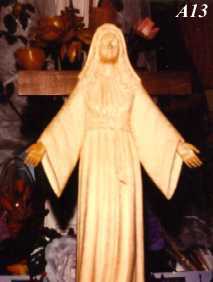 Another sculptured statue of Our Lady of All Peoples would also weep in Akita, Japan, from 1975 to 1981. And then, from November 18 to December 7, 1992, in the house-chapel of the Community of St. Joseph, in The Asylum City, will weep the statue of the Rosa Mystica, from Montichiari, Italy (A16), together with 6 other statues or busts (see photos further on). Three statues of the Virgin are thus in tears at different times, and under vocables mysteriously related to the dream of September 13, 1990, in which I was told, "You are John, guardian of the Virgin Mary," while at the same time I could see on the horizon various statues of the Blessed Virgin move fast, being able to see the first three clearly, Our Lady of All Peoples (A14), Our Lady of the Ark (A15), and The Rosa Mystica (A16). I got but a glimpse of the 4th statue, as everything was already turning so fast. 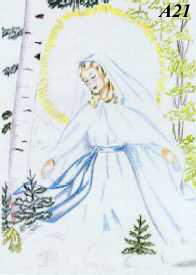 I thought I could discern Our Lady of Lourdes (see further). And the comprehension is given to me that, somehow, I was to become the protector of the Blessed Virgin and defend Her in her titles. Meaning? And I could see myself as a column of granite (A17). B. Yes, photos have even wept (A18, A19, A20), at the home of an instrument prepared by Heaven where often wept the Madonna of Canada, from 1977 to 1988, in the statue of Our Lady of Fatima (A1) Who came, in 1984, to lay the foundations of The Asylum City - a statue which, alas, will be destroyed in a fire, in February, 1988. 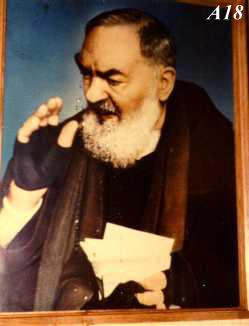 On December 18, 1983, the photo of Padre Pio (A18) was in tears. 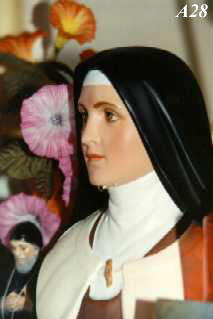 On the following December 24th , at the same time as many statues, as before, at the home of the chosen instrument, Bernard Parks, Joseph Francis, two other photos were weeping, one of the Holy Father, John Paul II (A19), and one of a Canadian mystic Marie-Paule (A20), recognized in her mission, in 1975, by the regretted Cardinal Maurice Roy of Quebec, mission which saw the founding of several communities for the Church, and a mission which included the establishment of The City of the Immaculate, which did not come about in the framework of the great combats of the End Times. But Heaven is watching, and Our Lady of Fatima to come in the meantime to lay the foundations of The Asylum City that St. Theresa of the Infant Jesus would come to encircle with a crown of fire (A1), in September, 1989. The City of the Immaculate was to shelter the small remnant of the 12 tribes of Israel, come out of all nations. An incommensurable role that is now related to the vocation of The Asylum City. 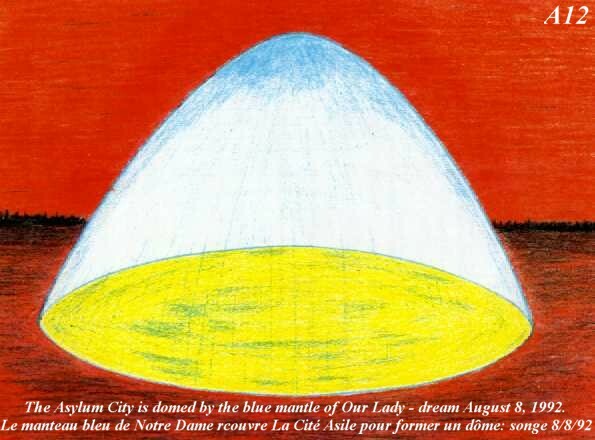 And it is Our Lady of Lourdes, whose statue was glimpsed, on September 13, 1990 (A17), who will descend in The Asylum City, during a vision on August 27, 1992 (A21), on the feast of Our Lady of Consolation and Joy, a visit repeated by the Blessed Virgin at the same spot, on the following November 8th, on the feast of Our Lady of Shelter, this time as Our Lady of All Peoples, all luminous in front of a rugged cross, to thus reassure us that Heaven's plans are still on course, although modified because of the combat. And this is still an open door on The City of the Immaculate, this time as The Asylum City. The appeal is made. 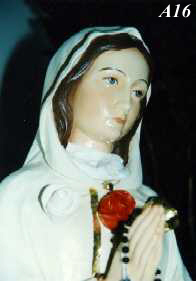 The "servant" of Our Lady of All Peoples, "M", can now rejoin "A" of the dream of September 13, 1990 (A17). John is symbolized by the Aquila (Eagle). All this is a mystery in Heaven's plans, but was it not augured during the Eucharistic Experiences, following the apparitions of Amsterdam (books available at: Secretariat Our Lady of All Peoples, Diepenbrockstraat 3, 1077 VX, Amsterdam, Holland), the ones of May 31, 1971, and December 8, 1977, where in particular, it is said that A and M are combined, and where is mentioned a tall column (A17), at whose sides is a stylized Lily, which one day will be seen by a privileged soul of the Community of St. Joseph of The Asylum City (A22)? And so Heaven weeps, Mary weeps even in her instruments. "Oh! Mary's tears!" will exclaim Pius XII, in 1954. "At Golgotha, She wept out of compassion for Her Son and sadness because of the sins of the world. 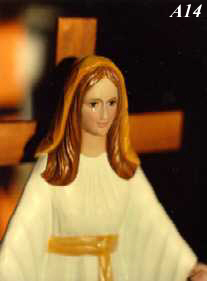 Does she not weep anew today because of the reopened wounds in the Mystical Body of Christ? Or else, does She weep over the loss of a great number of her children ...?" In our little chapel, the Virgin began to weep, in 1992, this time in a nearly uninterrupted manner, from November 18, 1992 to December 7, 1992, the tears mixed with oil during the last days, and Mary to weep in two of her statues, The Rosa Mystica (A16), and Our Lady of Fatima (A23), accompanied in her weepings by the Infant Jesus of Prague (A24), the Infant Jesus in the crib (A25), Our Lord crowned with thorns (A26), the Sacred Heart of Jesus (A27), and lastly St. Theresa of Lisieux (A28, A1). These weepings meant that a last Hour of Grace had been granted to mankind. The next massive weepings will take place just before the great events to come upon the world, the 3rd world war, the Warning followed by the Miracle at Garabandal, and then the Chastisement. Many persons witnessed the tears, among whom was the parish priest, Fr. Léo Lanteigne, in front of all the people that came to see the statues weep. He looked and looked, and then said, "We shall never pray the Blessed Virgin enough." 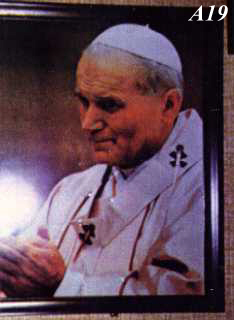 This priest who has a great devotion towards our Heavenly Mother, wiped away the tears with his finger, no doubt thinking to console Her and dry her tears, but in vain, as the statue, in the occurrence the statue of Our Lady of Fatima (A23), continued to weep and weep along with the others. The tears thus to come back in front of all those assembled, hence to exclude any illusion or mystification, or even any satanic artifice. But who could believe that "as tortuous can be his detours, the devil would come ... to imagine that to irremediably harm his worst enemy, it would be necessary to so powerfully promote her glory. Not to mention that God would not tolerate such an audacity and such a lasting mystification of the faithful." (Fr. G. Hermes, The Tears of Mary, Mystical Rose, Ed. du Parvis, Ch-1631, Switzerland). Fr. Hermes to ask also, "Why does Mary weep?" 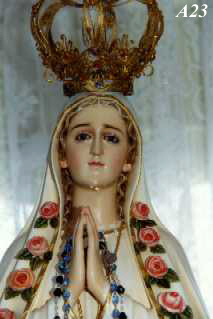 "Mary weeps: it is the sign of the love She has for her children. "Mary weeps, because her children do not love her. 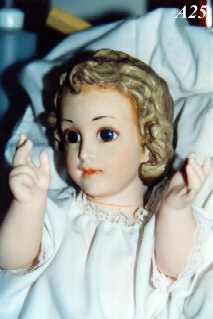 "Mary weeps over the frightful state of the world and the Church. "Mary weeps. It is about time, and maybe the last moment offered to each man to consecrate himself to her Immaculate Heart, that maternal Heart so full of kindness and mercy, to that Heart so powerful with Her Son!" The message in these pages is therefore urgent, and unique in this sense that it is a message more in pictures than in words, for the people are more conditioned by the image, having no more time to read. And since we have not listened, we shall now see! The manifestations by Heaven shown in this bulletin is a preview, so to speak, of what is coming during the terrifying events. The message is indeed urgent, but we depend on the generosity of the people, the bulletin having to come out in color preferably in order to thus preserve the full impact of the images. We, therefore, implore our Heavenly Mother to touch the hearts. 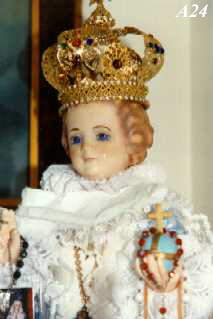 Section V will have been completed on February 20, 1993, feast of Our Lady of the Tears! A coincidence? 1. The Marian Movement of Priests. 3. The Mystical City & places of refuge. 4. "And thus aware ... that there is an End before the Very-End, this puts us on guard not to see Christ Himself come in the One who is first to come when comes the Kingdom of the Seventh Day, which will be the Day of the LION OF JUDA, He in Whom and by Whom will reign the King of Heaven on earth." (Auclair, Raoul, L'Apocalypse, vol. 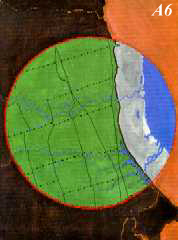 1, p. 93, 1984, Ed. Stella, 1273, 22e Rue, Quebec, QC, G1J 1T1, Canada). The Kingdom will be a THEOCRACY. 5. A statue I had given to Joseph Francis, which he exchanged with one of Marie-Paule's as a sign of reciprocal friendship. Before taking home Marie-Paule's statue (A14), he had it painted by Fr. Rémi Tremblay, then a brother with The Sons & Daughters of Mary, of The Community of Our Lady of All Peoples. 6. A gift from William Kamm, The Little Pebble, to Bernard Parks, Joseph Francis.